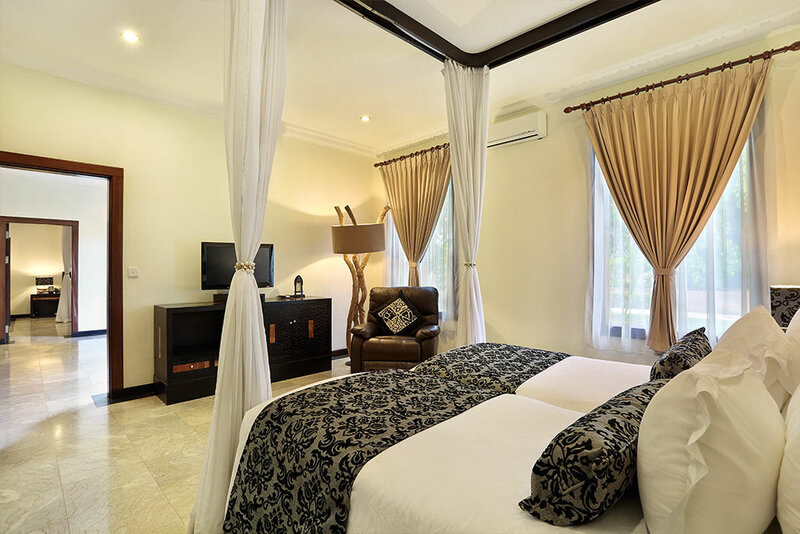 The sister property of popular Hotel Vila Ombak on the tropical island of Gili Trawangan. Located on the island’s peaceful west coast, Resort Ombak Sunset is a 15-minute boat ride from Teluk Kode Harbour. It offers free parking and chargeable shuttles to Villa Ombak. Boasting a large landscaped pool, Ombak Sunset offers modern Balinese-style bungalows with Gili Trawangan Beach just 10 meters away. Surrounded by tropical landscapes, it features a gourmet restaurant and an all-day beachfront café. Offering stunning sea views, Horizon Restaurant serves hearty breakfast buffets with Western and Asian dishes. It also features home-made yoghurt and freshly baked breads. Light bites can be enjoyed at any of the 3 bars. DELUXE TERRACE is offering total relaxation, feature comfortable, contemporary sitting and sleeping areas. Boasting native Balinese and Javanese touches and natural accents, they reflect the local surroundings and maintain a tropical garden. ISLAND BUNGALOW was built in rows and the room has a lush tropical garden view. 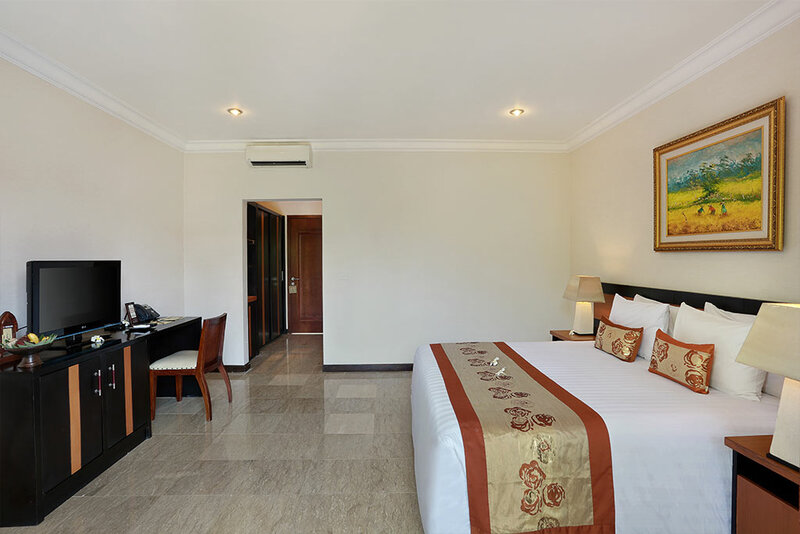 The room offers tranquility and relaxation with spacious bedroom and stunning marble floor. The room has designed of ethnic contemporary arts and combines elements of both Balinese and Javanese culture. SUNSET BUNGALOW is deliberately semi classic minimalist to enhance the impression of spaciousness and luxury. The room has designed embraces the concept of contemporary ethnic arts and combines elements of both Balinese and Javanese culture. AGUNG OCEAN VIEW Indulge in our luxurious Agung Ocean View. Boasting unparalleled beach views, just steps from the background of mount Agung in Bali and resort pool, each of these rooms has a spectacular ocean view and reflects beautiful sunset. 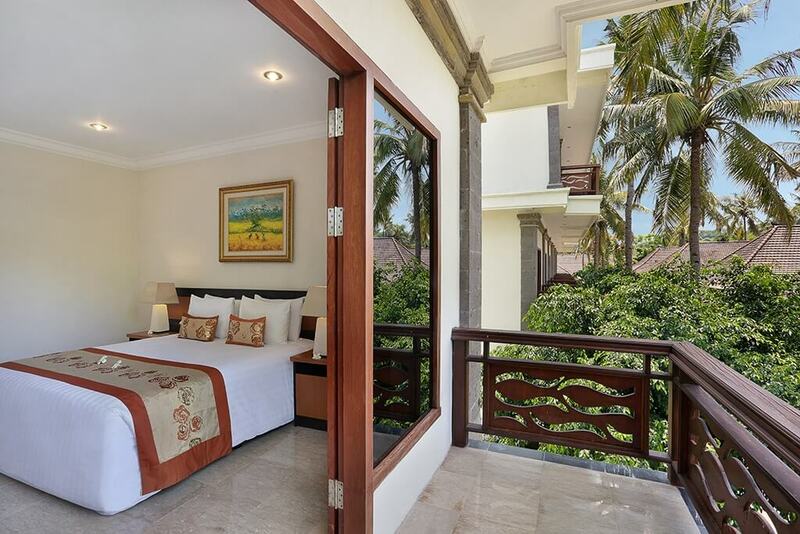 AGUNG OCEAN VIEW SUITE is alike with Agung Ocean View just expansive with spacious of master bedroom and living area. Indulge in our luxurious Ocean View Suites. Boasting unparalleled beach views and resort pool, each of these suites is named for and reflects unique designs. 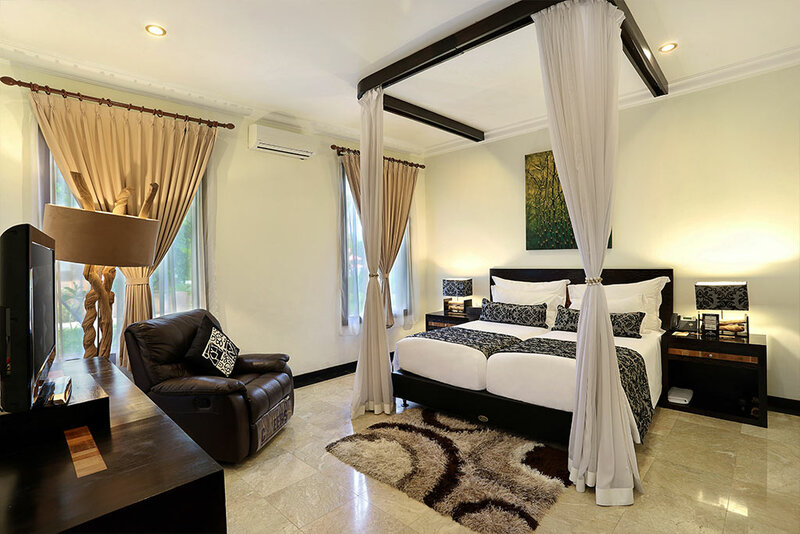 TWO BEDROOM SUITE inspire to rejuvenating, semi-traditional design infused with an uplifting dash of Balinese and Javanese flavor. With views of our lush garden, a large living area is illuminated by natural light, while a four-person dining table allows for a memorable private meal.